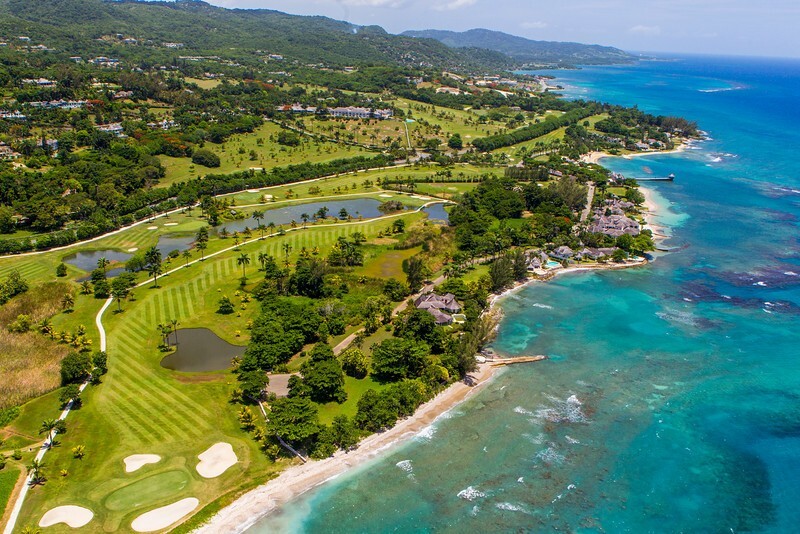 Many of our luxury villas in Jamaica are located within the very exclusive Tryall Club situated just west of Montego Bay. We also have a selection of private Jamaica Villas which include complimentary membership of Tryall. Located on 2,200 acres, Tryall has an incredible array of facilities to offer. There is a world class golf course, tennis club, excellent kids club, a great water sports centre and of course a beautiful beach. The beach at Tryall is glorious. It is a quarter mile crescent shaped stretch of beach with pristine white sand and crystal clear waters. It is really well planned out and is also perfect for parents and children. There is a great beach bar right on the beach so you don’t have to move too far to get some refreshments. It is the perfect place to work on your sun tan, read a book, enjoy the incredible scenery or just take a relaxing nap. Located on 2,200 acres, Tryall’s golf course is among the most beautiful in the world. Its 18 hillside and seaside fairways have been home to the Johnnie Walker, Mazda and other PGA championship events. The resident pro offers workshops and private lessons. Golf at The Tryall Club is an unforgettable experience that blends the beauty of the Caribbean with the challenges of a world-class course. The course winds its way around the estate through the hills and palm groves down to a mile and a half stretch of scenic coastline. The 18-hole, 6836-yard, par 71 course, designed by Ralph Plummer, has been rated “among the most beautiful golf courses in the world.” This wonderful course offers stunning views, unique natural hazards and challenging greens. With the front nine holes bordering the Caribbean Sea and the back nine winding through verdant hillsides, Tryall offers stunningly diverse topography. In Tryall, tradition is very important and it is one of the world courses where you and your caddy can still walk the fairways together and enjoy the game as it was intended. Even at the height of the season (mid-November through April), the course remains un-crowded, offering golfers a uniquely relaxed atmosphere. 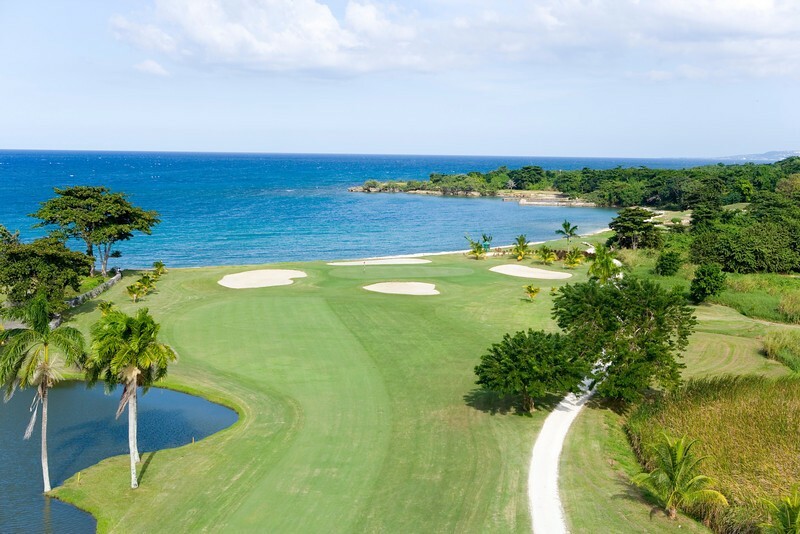 The signature par-three 4th hole incorporates the natural challenges of the Caribbean Sea and the Flint River, while the memorable par-four 7th hole provides a dramatic tee-shot through the stone pillars of the historic aqueduct that feeds the adjacent waterwheel. Having played host to numerous Davis Cup matches and Grand Slam events as well as welcoming lots of famous players such as Boris Becker and Ilie Nastase, the tennis in Tryall is truly one of the best in the Caribbean. Perched on a high hill to take advantage of the gentle Jamaican breezes and stunning views, there are a total of nine high spec Nova Cushion courts some of which are flood lit which means you can also play in the early evening when it gets a bit cooler. There are 24 staff at Tryall including several world-class pros, hitting partners as well as ball boys. In addition, there is a well stocked pro shop, weekly tournaments and private lessons for all ages. Tryall has a state of the art gymnasium if you wish to keep fit whilst you are on vacation. In addition there is a new Usain Bolt Games Room at the Great House which all teenagers love. There is also a really good marked jogging trail. There is a vast array of water sports available at Tryall. These include snorkelling, kayaking, Hobie Cat, kayaking, sunfish, glass bottom boats, jet skiing, tubing, charter fishing and boat trips to the reef. Enjoy the week’s events, including a Monday Night Manager’s Cocktail Party and a Wednesday and Friday night beach party and buffet as well as live entertainment in the bars several nights a week. There are many great dining options available to you at Tryall Club such as breakfast at the great House during the high season or at the Beach Café in the off season to intimate gazebo dinners with the Caribbean Sea and cool tropical breezes providing a romantic ambience or enjoy dinner in your own private villa. 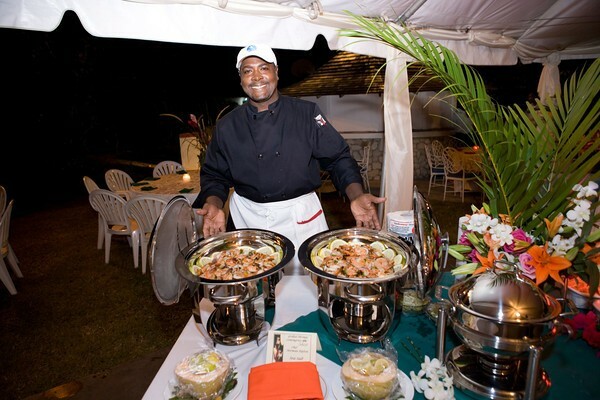 There are also many wonderful themed evenings to enjoy at Tryall such as the Seafood Night or Beach Barbecue Night on the Lawn with live entertainment. The Great House Restaurant is the main dining area. Not only is it a wonderful historic landmark with an incredible view, you will also be able to enjoy breakfast, lunch, afternoon tea and dinner here. Later at the great house, you can enjoy night time at the bar – a lively gathering place for Tryall guests. The great house also hosts weekly events, including a cocktail party hosted by the club’s management and members. The beach café is a more casual dining option located steps from the water at the base of the jetty. The beach café offers a varied lunchtime menu and serves as a popular place to meet after a round of golf. Lunch is served daily at the beach café terrace, where guests can enjoy incredible views. There is also a great and very popular Jamaican Reggae Night, featuring exciting live entertainment, every Wednesday in the high season. Beach Gazebo For guests who seek a more intimate dining experience, a gazebo dinner guarantees an evening of unforgettable romance. As the name suggests, dinner is served at The Club’s main gazebo complemented by the ambiance of waves lapping against the jetty and a beautiful view of the sunset. 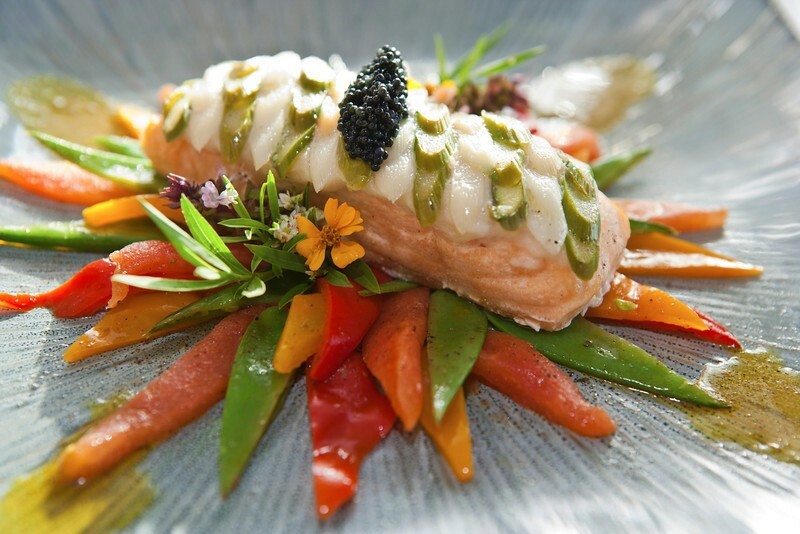 Each meal is created specifically to your liking by the chef. The beach Gazebo can serve up to 12 people. There are several shops to choose from at the Tryall Club including the Tryall Boutique, Craft market and pro shops. 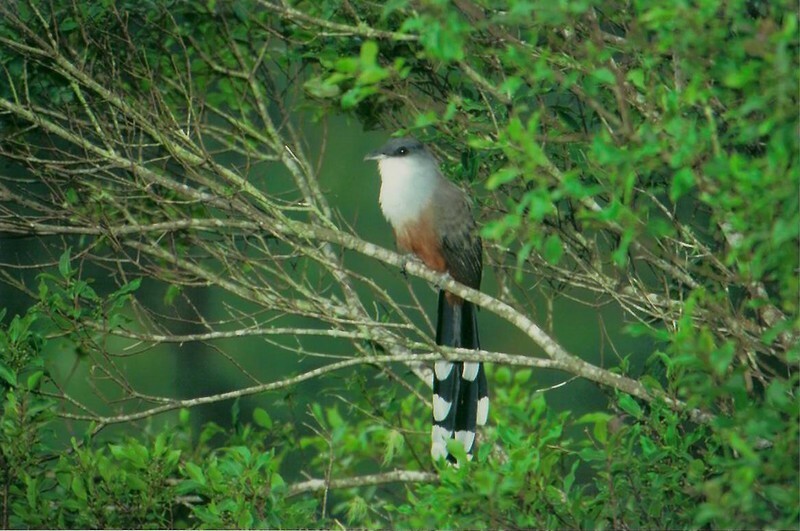 There is a wonderful array of rich plant and animal life to be seen at Tryall. There is a series of fun and educational activities which have been designed to enable guests to explore Tryall’s incredible environment such as spectacular rain forest hikes, early morning bird watching trips and coastal reef exploration. Nature Discovery: An exploration of Tryall’s habitat highlighting the diverse plant and animal life from the coast to the mountains. Heritage Tour: The Heritage tour allows guests to relive Tryall as an 18th century plantation as they are introduced to the Georgian Great House, historic waterwheel and other cultural landmarks. 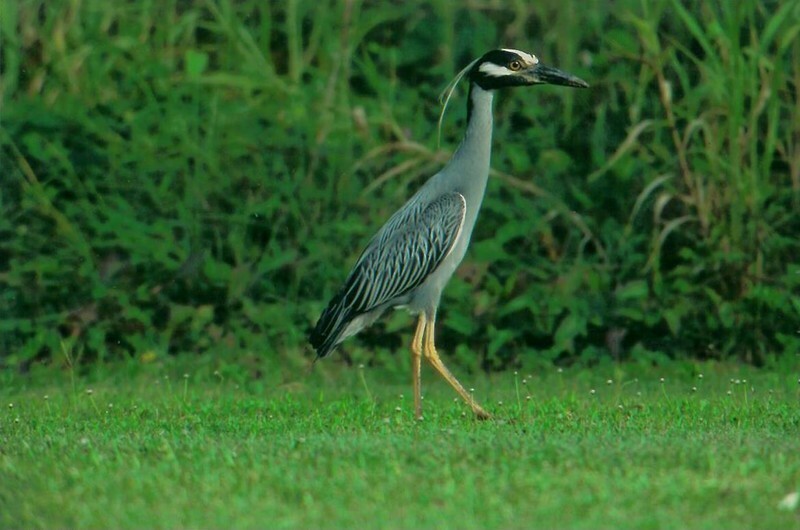 Coastal kayaking: This guided trip along the reefs and the shore to see reef and bird life. Tryall also has a really excellent food market where you will be able to shop in a wonderfully relaxed and friendly environment for a variety of delicious healthy foods and drinks. It offers natural and organic produce including a wide range of fruits, vegetables and meats coming from farms from Trelawney to St. Elizabeth. Tryall works with local growers as much as possible to gather the freshest produce available in Jamaica. 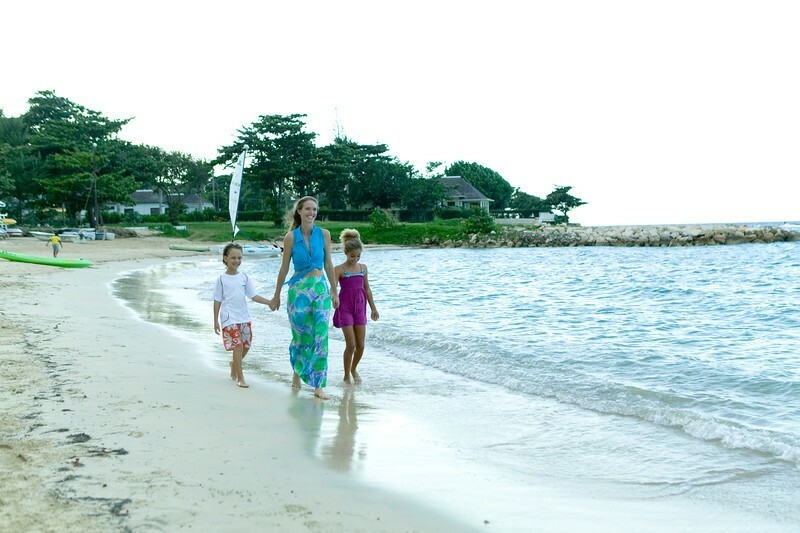 Children enjoy daily activities that make full use of Tryall’s amenities and expansive grounds. Your children will love the Hummingbird Kids Club, offering complimentary daily activities for kids from 5 to 12 years old. Kids can also participate in various activities, including treasure hunts, talent shows, face-painting, beach Olympics and more. Toddlers (accompanied by baby sitters) and teens are also welcome to join in selected activities.